Path of Exile Review – What is POE Currency? If you are an online gamer, you would have already heard about Path of Exile. It’s one of the most popular ARPGs in the internet world. Path of Exile is popular for its stand apart setting in a dark fantasy world. It was first launched in 2013 and consistently attracted millions of gamers around the world. It was developed by a New Zealand independent developer under the brand name Grinding Gear Games. Though it was built on experimentation, the concept and the addicting setup helped it to evolve constantly. 1 What is the Plot of Path of Exile? 2 What is Path of Exile Currency? What is the Plot of Path of Exile? You got barred from your country and now you must survive on a continent called Wraeclast. Wraeclast is a dark continent and it’s super tough to survive there. You have to fight hard to earn power which will help you to take revenge against the bad guys who caused you this situation. This is the background of Path of Exile where you can play action combats with powerful weapons. Deep character customization makes things more interesting. The dark fantasy ambience adds an addictive touch to this popular online action RPG. The best part is you can play it for free and the developers announced that they will never turn this game into a pay-to-win model. Action RPGs are popular for their unique plot and gameplay. The items collected or valuable and skill training is crucial. Gems play a vital role as they can affect the skill at any moment. They are hard to find and they are extremely useful while you are trading. What is Path of Exile Currency? Path of Exile currency or POE currency helps the player to do trade-offs with other players. A player can exchange the currency for various kinds of equipment and weapons. You can also enhance your existing weapons with POE currency. There are various currency items and each serves a specific purpose. 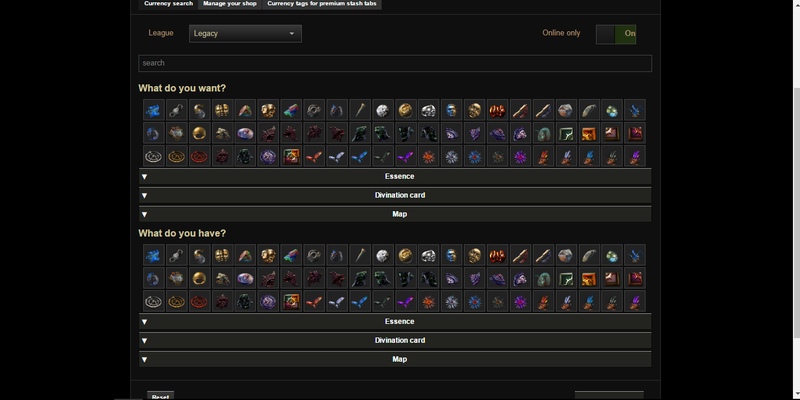 For example, a currency item helps you to enhance the character equipment and completely redesign the skill tree. Different scrolls and orbs will help you to solve different purposes. But it is not easy to collect POE currency directly from the game. Anyways, you can get it from the online currency sellers. But one has to be careful while doing a purchase as there are so many illegal game currency sellers online. You can buy POE orbs from the trusted sources and from the sources recommended by fellow gamers. Getting started with Path of Exile may seem overwhelming. Just go through some online guides to learn some tips and tricks to understand the basic nuances of the game. That’s enough to take you forward. But if you observe that you are struggling to understand the game it’s better to invite some other player or your friend to guide you. Once you understand the functioning of the game, you’ll soon find yourself hooking to the monitor for hours! Path of Exile is probably the best diablo-kind ARPG in the gaming arena at the moment. It has evolved constantly throughout the years and now it stands like a giant. The best part about Path of Exile is it is a free to play ARPG. It’s free to play on Steam and XboxOne. Even the transactions related to the game are trustworthy. You don’t need to have anything to be successful in the game though. If you want to contribute to the developers in any way, you can do some microtransactions. Developers earn via microtransactions done by the players. We hope our brief guide helped you to get a basic idea about Path of Exile and it’s currency system.